Sigal has over 20 years of experience in the software industry in which she served in a wide range of professional and managerial positions. 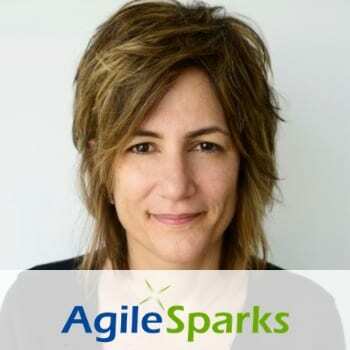 During the last 12 years Sigal led the Agile transformation in NCR (Retalix), AT&T and NICE Actimize. Sigal has strong hands-on experience in driving organizational changes and quality initiatives from incubation to deployment with a focus on promoting Agile, Lean and SAFe™ practices and mindset within organizations. Most recently, Sigal led the SAFe™ implementation across the R&D and Product organizations in NICE Actimize covering 6 ARTs (Agile Release Train) and more than 30 agile teams working in SAFe™ across the globe in less than 6 months, all the while delivering on NICE Actimize business commitments.